Elms BMWs parent group, Bedfordia, have been in business since the 1920s and purchased their first BMW franchise in 1990. Trusted and well respected within the East Anglian region, the business has grown and now consists of three BMW dealerships; Elms BMW Bedford, Elms BMW Cambridge and Elms BMW Stansted in Bishop’s Stortford. There are several unique reasons why the The Elms Group have been welcomed to advertise on AnyM – the first and possibly the most important is they’re simply enthused by their product. During our visits to all three dealerships we met people who were dedicated to the business and brand. For example, when arriving unannounced at their Bedford showroom our 8 Series seemed to catch one of the salesman eyes, “I remember selling these for Elms when they were new! What a lovely example”. Turns out this particular employee has worked there for 24 years! The Group are also proud to offer a price match guarantee. “We don’t believe you’ll find better-priced BMWs and MINIs anywhere in the UK”. In fact, if you find a similar car for sale for less within five days of buying from them, they’ll refund the difference plus £100 by way of apology. 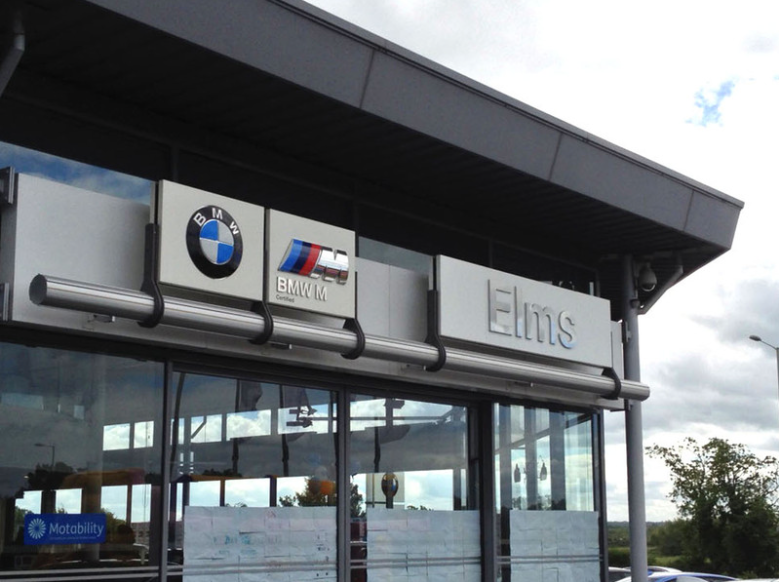 Elms BMW add to the dealer experience by stating things like; If you don’t live close to one of our dealerships, don’t worry; we'll provide FREE nationwide delivery to your door. However, ideally they would like all of the customers to visit one of their sites to witness their handover experience – to bolster this they offer collection customers an additional £100 that can be used towards travel, or anything else that takes your fancy. All cars come with the warranties and guarantees you would expect from a new or Approved Used BMW, plus the added benefit of a seven day money back guarantee. Don’t worry if you don’t live nearby as all warranty and servicing can be carried out by any BMW dealer in the network. Elms have a constantly changing stock of around 300 BMWs and MINIs; but if you are looking for something specific, their close relationship with many of Britain’s largest leasing companies means they can find it for you. Every used car goes through a series of rigorous checks before it’s offered for sale and they only put the best cars on the forecourt, which is part of the reason you'll proudly find them amongst our Classifieds.